Article: Jake Miller Reunited With His Friends From Florida And Attended “The Brothers Grimsby” Premiere! After moving to the City of Angels, there are many things that the magnificent Jake Miller keeps close to his heart: his family, his friends and his hometown! 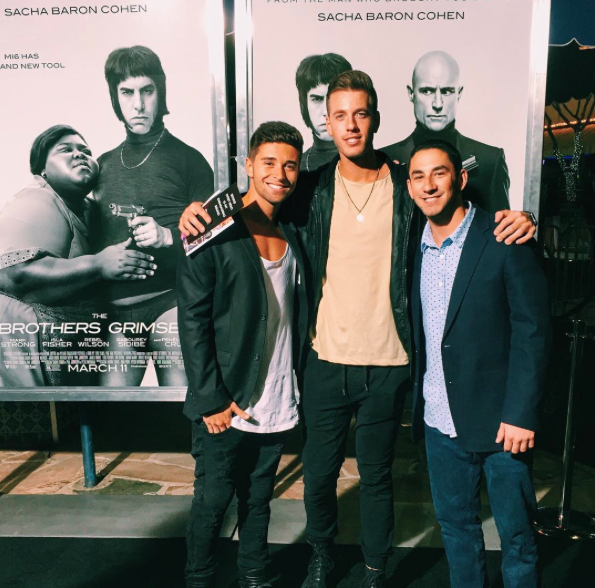 The incredibly genuine, singing sensation Jake Miller had a wonderful time reuniting with his friends from Florida on March 3, 2016 and attended the premiere of “The Brothers Grimsby” with them at the Regency Village Theatre in Westwood, California. It looks like Jake Miller had a phenomenal time with his friends at the premiere! Next Article: The First Annual Young Entertainer Awards Announces Emblem3 To Present At The Event And See List Of Nominees Here!